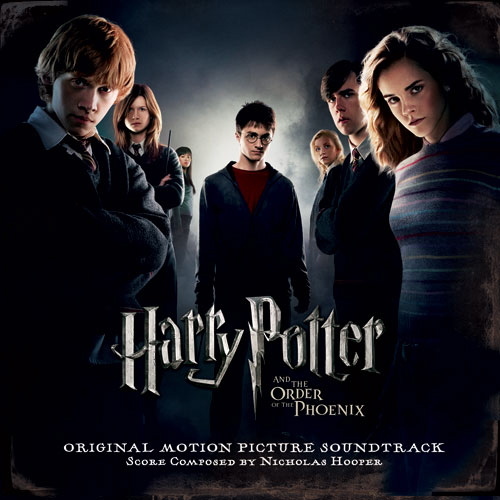 Nick Hooper has composed the music for a couple of blockbuster Harry Potter films, as well as winning two Baftas for his work on television drams, including Prime Suspect, with Helen Mirren. In addition, he has written the music for award-winning wildlife films made for the Disney Studios, as well as the BBC – when the producer was Mike Birkhead, who spoke so engagingly in Wootton in 2012. Meanwhile, his wife, Judith, works as a musical therapist – helping both children and adults with emotional challenges, as well as physical and learning disabilities. And, as they told us during their captivating talk on December 13th, they have shared their ideas on both areas, including the similarities between leading a cinema audience’s emotions with music - and also the ability of music to penetrate the minds of people whose only movement might be limited to moving an eye-lid or a finger. Such insights were made even more poignant because Nick and Judith’s daughter, Rose, was born with an under-developed part of the brain which controls movement – and so Rose has difficulty in both walking and talking. As a result, even the simplest tasks can create huge challenges and Judith read out a beautiful piece she had written on the contrasts at a children's party. Nick, too, read out some of his own highly evocative writing, in which he tried to place himself inside the mind of somebody with physical limitations – where even the seemingly straightforward task of putting on ear-rings can require enormous levels of concentration and fortitude. This background to their lives added an extra poignancy to when they played several pieces, featuring some of Nick’s compositions, with Judith producing some wonderful work on the violin. It was immediately clear how they have forged a great reputation playing folk music, including at the relatively new venue of the White Horse pub, in the village of Stonesfield. The final piece they played on violin and guitar, which Nick had composed for a film called Milkweed, recreated the sounds of Jewish music and had a particularly haunting melancholy. Nick also played recordings of some of the music he composed for two of the Harry Potter films, detailing the arduous and complicated creative process - from first receiving a script and agreeing to work on a project, to the final recordings. His ideas are first put together, using specialised computer software, and are then transcribed for a full orchestra, with the recordings for the Harry Potter films made at the Abbey Road Studios, in London, employing some of the world’s finest musicians. However, the process is far from straightforward and Nick detailed an average working day working on a Harry Potter score – when he would start work at eight in the morning, writing at the studios to meet extra demands from the film’s director, before an afternoon of recording and then more writing and re-working until late into the night. Such a relentless schedule was one of the reasons that Nick declined to work on further Potter films, feeling he needed to spend more time at home. 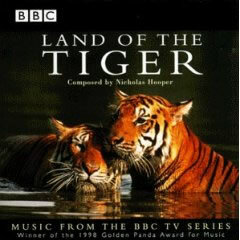 Nick also played some music he had composed for a Mike Birkhead wildlife film, called Land of the Tiger, for which he had spent several weeks in India studying the country’s musical tradition before using it as an inspiration for his own work. He had also visited the Grand Canyon to get inspiration for a film which included ravens waiting for thermals before gliding around effortlessly. One member of the audience suggested – in a moment of candour – that there can be too much music in films, trying to take control of the viewer’s responses. Nick agreed. He suggested that music can be too ubiquitous, in particular in lifts and supermarkets, and that it is better kept for an appropriate time and place. Fortunately, the village hall was one of those venues – and we were extremely grateful that Nick and Judith had chosen to share their story and music with us all.